One nonprofit has a fresh take on how to help bring refugees out of impoverished and dangerous living conditions: Teach them to code. Re:Coded is partnering with Flatiron School to educate about 50 Syrian refugees living in Erbil, Iraq -- a city where more than 100,000 Syrians have fled to escape the brutal civil war raging in their home country. Alexandra Clare founded Re:Coded in June last year, with a plan to teach software programming to refugees and give them real job prospects. "For every software developer, there's five jobs" Clare told CNNMoney. "We can create complete self reliance." Re:Coded is getting about $250,000 from the United Nations to fund the year-long program in Erbil, where fellowship recipients will spend time developing their English language skills before diving into Flatiron School's rigorous online curriculum. Flatiron's coding program typically costs $12,000 per student, and it has a proven track record of turning novices into employed programmers. The school has placed graduates everywhere from Google (GOOG) to NASA and Boeing (BA), and says that 98% of its 2015 graduates who sought a job landed one, with an average salary of $74,000. 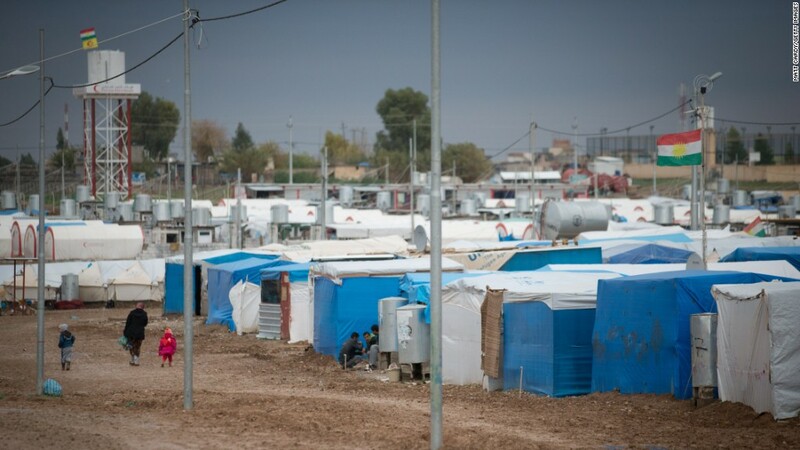 More than 100,000 Syrians have fled to refugee camps in Erbil, Iraq. A new fellowship opportunity will give a few of them a chance at stable employment. Flatiron School President Adam Enbar said the fellowship program will help connect the refugees with potential employers, and that they can work freelance building websites for clients worldwide. Website developers typically charge $50 to $200 an hour, so Enbar says the graduates will have unique opportunity to undercut the market. "Twenty dollars an hour, that's remarkably cheap, but for a refugee in Iraq, that's a ton of money," Enbar said. He added that Syrian refugees may have a unique advantage in the Silicon Valley job market. "There is a broad recognition that there is a diversity problem [in the tech sector], and most companies, if not all, care about addressing that." Re:Coded expects to have about 300 to 400 applicants, and that it will grant about half its fellowships to women. Clare says they'll look for candidates who have basic computational and English skills, and offer a "compelling reason" for wanting to code. "Maybe they were in the middle of a university degree in Syria and had to drop out, or they're struggling to meet basic needs," she said. "We're trying to target the most vulnerable people." With an estimated 4.5 million people displaced by the war in Syria, Enbar and Clare said they're hoping to expand the program to even more refugees in the near future.